Whose Sancho Panza? Mine, Yours, Theirs? What you will find below are five or six paragraphs from a book. These are translated from French into English by Edwin Hudson. The book is one I found on my father’s bookshelf this weekend, a book I had never read, a book in which my father had made marginal notes and had underlined some time between 1956 and 2012. Like the author, my father is an orphan. This fact immediately separates their personage and mine. This is something my orphan father and his son with a father (i.e., he and I) discussed, as he’s been tell me the story of his life after his father’s life and before mine. “I was three months old when my father died,” writes the author of my father’s book; and he continues: “so that I know him only from the biography written by one of his friends, from obituary notices, from the poems he left, from articles, letters, photographs, and from stories about him, told me long afterwards.” The writer goes on: “And yet, when a man describes to me his father — a father with whom he spent his whole childhood, I cannot be sure that the portrait he paints is any more faithful than the one I have of mine.” With all that in mind, you now may read the five paragraphs from the Swiss scientist and medical doctor, Paul Tournier (and the underlinings are the first of my father’s in this book Le Personnage et la Personne translated into English as The Meanings of Persons). In the same way, we learn as much about humanity from legends as from historical reports. They are a different reality, but a reality nevertheless. Indeed, they are much more a reliable document than the most learned history book. If we wish to understand man it is as important to read the Iliad, the Odyssey, the Aeneid, the Bhagavad-Gita, or even Grimm’s fairy-tales, as philosophical, sociological, physiological or psychological treatises. Nothing relies on convention more than the theatre. The play that we see there is in fact a ‘play’ of personages. And yet one tragedy by Sophocles contains as much authentic truth about humanity as the most accurate biography. The actors are playing a part, and yet it is the human person itself that we apprehend in their gestures and their words, as surely as if we were watching a man living his real life. The very word person owes its origin to the masks worn by the actors to amplify their voices (sonare … per). Professor C. G. Jung uses the Latin word persona to express not what we mean by the word ‘person’, but rather ‘personage’, in the sense in which I shall be using it in this book. These linguistic complications are not fortuitous; they testify to the complexity of the problem I am grappling with: the way in which the personage is inextricably bound up with the person, in spite of the fact that we always tend to think of the role we play as different from what we are in reality…. 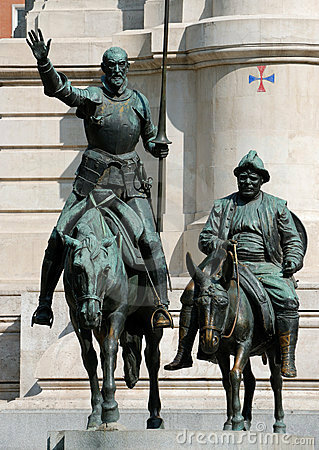 Even Sancho Panza is not identical for everybody; my idea of him is not the same as yours, or as that of Cervantes. 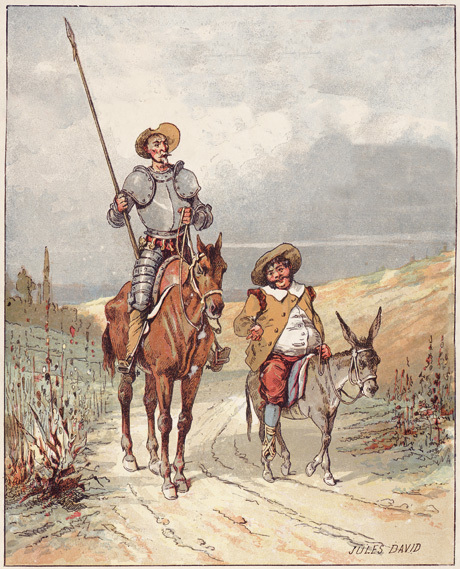 For me he is a personal image which the reading of the Quixote has awakened in me, and which my own mental associations and experiences have also helped to fashion: he is my Sancho Panza. He depends therefore on my own person and the history of my own life, on the conscious and unconscious resonances aroused in my mind by the Cervantes’ story.